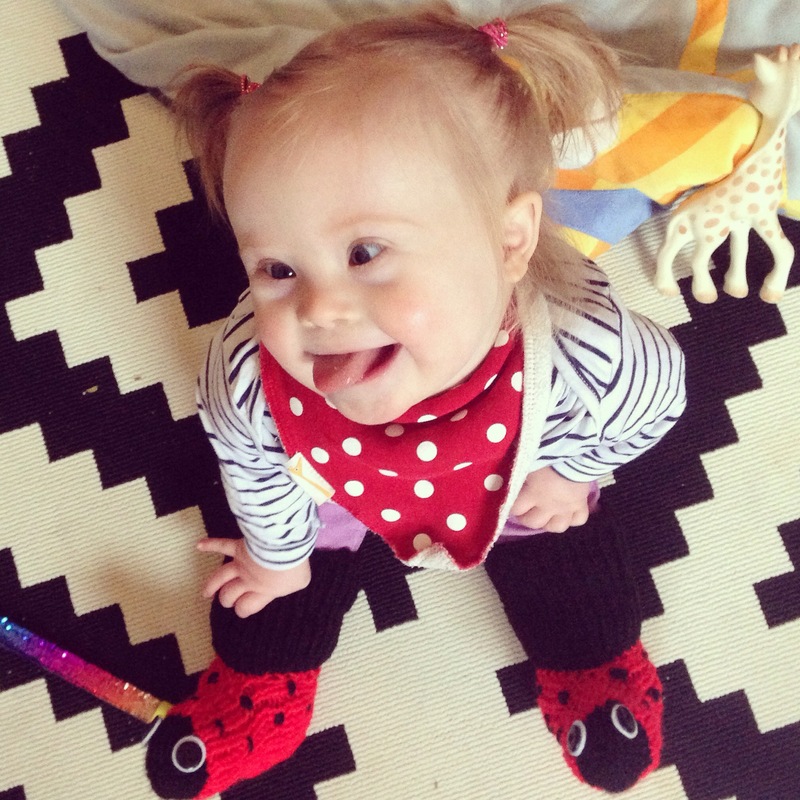 When Audrey was a newborn, I read other parents’ accounts of having a child with Down Syndrome and, well, I thought in some cases they were lying. Or at least kidding themselves by piling on the positivity. “Our child is a blessing” or “we wouldn’t change anything about our child” or “he/she is simply perfect”. I thought come on, you would change the Down Syndrome! And you know they’re not perfect! But guess what? They were just further down the path than us and now I know what they know, I’m all over this positivity and “blessedness”! 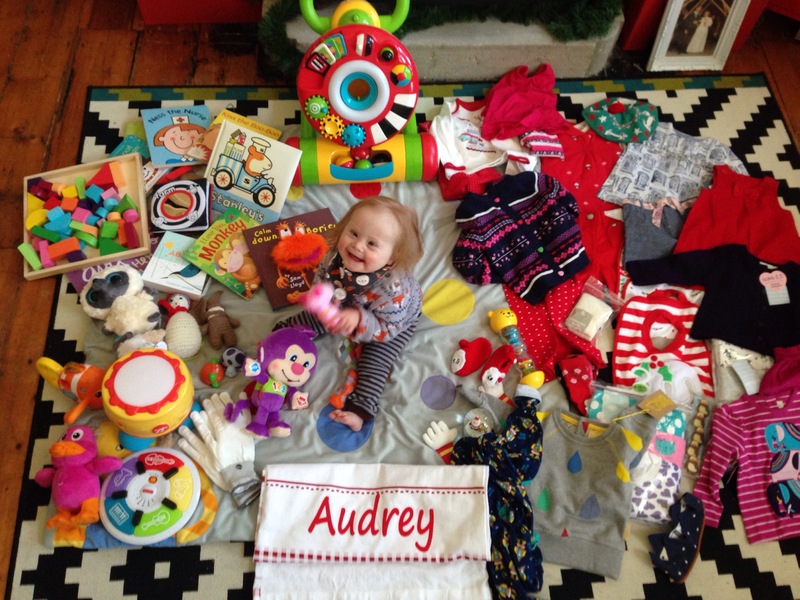 But let me be clear, Audrey isn’t a blessing to us because she has DS, she just plain and simple is a blessing. 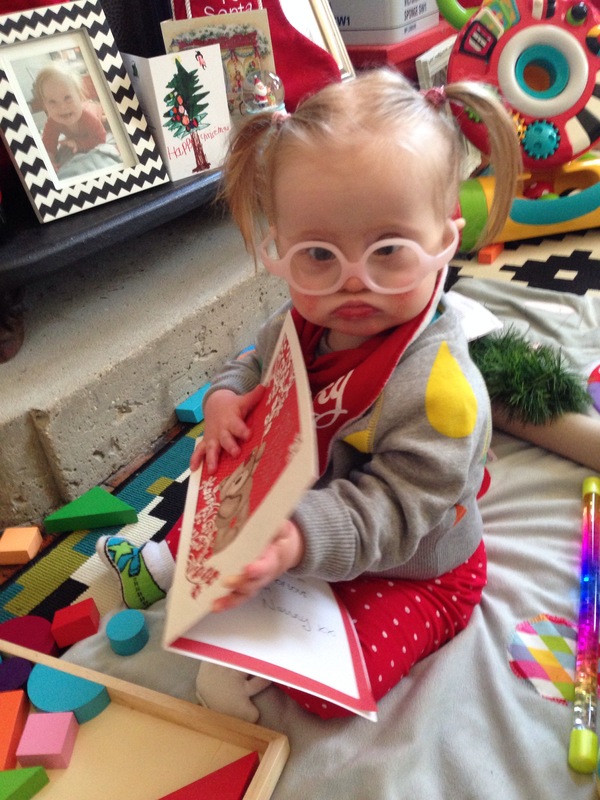 She’s our daughter, we made her and ok, something “different” happened in the making and she got an extra chromosome, but that’s just part of Audrey. When I look at her, I am overwhelmed by how much I love her and how perfect she is for us, for our family. I genuinely wouldn’t change her. 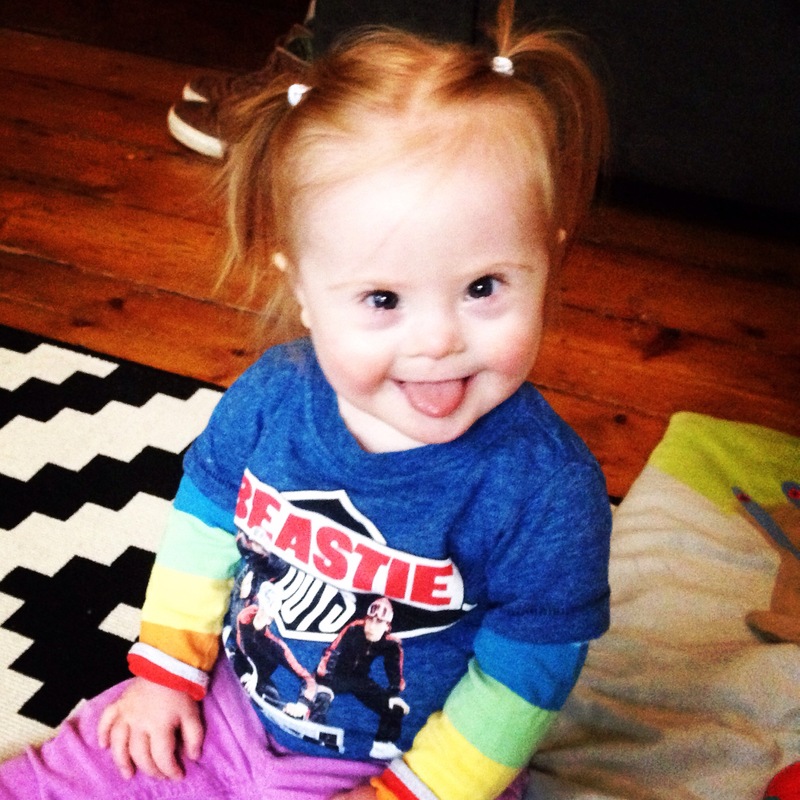 Yes, I want to wipe out health issues, prejudices, difficulties… But if we took away the DS, she wouldn’t be the same baby and we love this baby, just the way she is. She’s perfect. And yes, I know that really there is no such thing as perfect… In fact, as I said, when I read other families call their child with DS “perfect”, I felt a twinge, an uncomfortable stab… Thinking, c’mon, how can you use the word perfect?!? But I get it now. How can anyone? What is perfection? Does it even exist? Audrey isn’t really perfect. She had terrible reflux and used to puke all over us. Sometimes she gives wonderful long kisses; covering us in snot. Sometimes she wakes up at 5am. She pulls my hair. She dribbles a lot. She has rough patches on her thumbs from over-sucking. But she is amazing. She fits into our family and brings us so much happiness. We are deeply in love with her and wouldn’t change her for the world. So there. 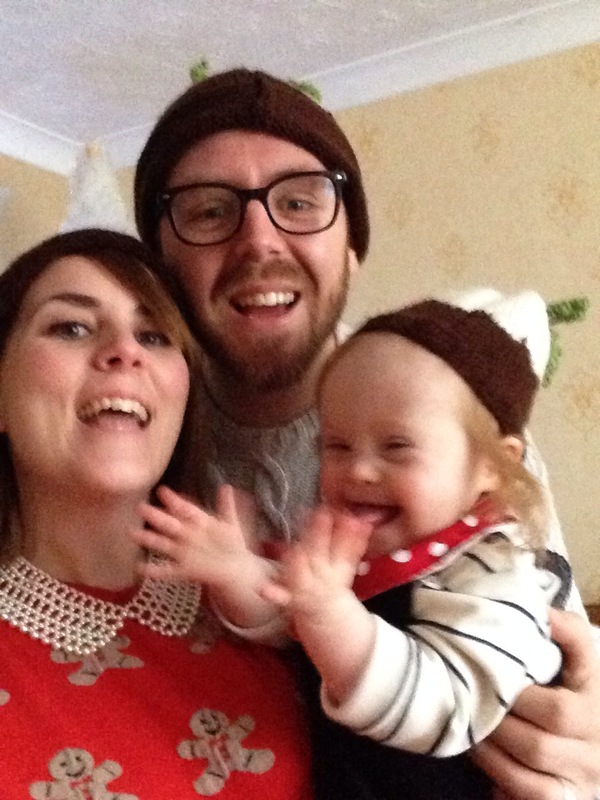 Gushy positive Down’s Syndrome family believes they are blessed. Because they are.